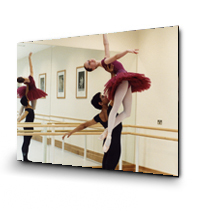 The Royal Ballet School enjoys worldwide recognition as a renowned institution for classical ballet training. The founding of the school came in 1926, when Dame Ninette de Valois opened her Academy of Choreographic Art. Eighty five years later, The Royal Ballet School is one of the world’s greatest centres of excellence in ballet training and sets the standard internationally. Our mission is to nurture exceptionally talented young dancers and the School's unique system of training combines dance training with academic education, underpinned by a strong pastoral programme. The School offers an eight-year carefully structured dance course, aligned with an extensive academic programme, giving the students the best possible education to equip them for a career in the world of dance. The Royal Ballet School produces focussed, well-rounded, well-mannered and intelligent artists of the highest standard. Despite support offered by the UK Government’s Music and Dance Scheme, many of our students’ families find it a considerable financial strain for their children to attend The Royal Ballet School and this is particularly the case for those from overseas. The School prides itself in attracting international students from across the globe, however many of these are ineligible for UK Government grants and their fees must be paid in full. Admission to The Royal Ballet School is based purely on artistic merit and currently 96% of students rely on financial support. We firmly believe that no talented student should ever be discouraged from aspiring to train at The Royal Ballet School due to lack of financial means and we remain most grateful to the many individuals and grant-giving bodies who so generously support our ballet stars of the future. The Peter Cruddas Foundation has generously supported one of our talented, young dancers and we are extremely grateful for this vital assistance which will allow this student to pursue a full-time career in dance.